1. "Snow White and the Seven Dwarfs," 1937. 4. "The Lion King," 1994. 7. "Beauty and the Beast," 1991. 1. 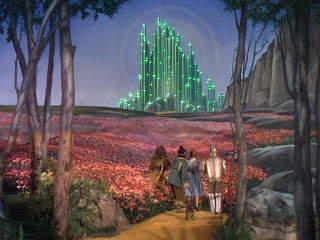 "The Wizard of Oz," 1939. 2. "The Lord of the Rings: The Fellowship of the Ring," 2001. 3. "It's a Wonderful Life," 1946. 5. "Miracle on 34th Street, 1947. 6. "Field of Dreams," 1989. 9. "The Thief of Bagdad," 1924. 3. "The Godfather Part II," 1974. 5. "Bonnie and Clyde," 1967. 6. "Scarface: The Shame of a Nation," 1932. 8. "The Public Enemy," 1931. 1. "2001: A Space Odyssey," 1968. 2. "Star Wars: Episode IV A New Hope," 1977. 3. "E.T. the Extra-Terrestrial," 1982. 4. "A Clockwork Orange," 1971. 5. "The Day The Earth Stood Still," 1951. 8. "Terminator 2: Judgment Day," 1991. 9. "Invasion of the Body Snatchers," 1956. 10. "Back to the Future," 1985. 6. "The Wild Bunch," 1969. 7. "Butch Cassidy and the Sundance Kid," 1969. 8. "McCabe & Mrs. Miller," 1971. 3. "The Pride of the Yankees," 1942. 5. "The Third Man," 1949. 6. "The Maltese Falcon," 1941. 7. "North By Northwest," 1959. 9. "Dial M for Murder," 1954. 10. "The Usual Suspects," 1995. 3. "It Happened One Night," 1934. 5. "The Philadelphia Story," 1940. 6. "When Harry Met Sally ...," 1989. 9. "Harold and Maude," 1971. 10. "Sleepless in Seattle," 1993. 1. "To Kill a Mockingbird," 1962. 2. "12 Angry Men," 1957. 3. "Kramer Vs. Kramer," 1979. 5. "A Few Good Men," 1992. 6. "Witness for the Prosecution," 1957. 7. "Anatomy of a Murder," 1959. 8. "In Cold Blood," 1967. 9. "A Cry in the Dark," 1988. 10. "Judgment at Nuremberg," 1961. 1. "Lawrence of Arabia," 1962. 4. "Gone With the Wind," 1939. 7. "All Quiet on the Western Front," 1930. 8. "Saving Private Ryan," 1998. 10. "The Ten Commandments," 1956.